A sense of awareness shapes our working culture. We care about the society and environment our business exists in, and make an active, positive contribution. At Stranger Collective, our vision is to help people harness the power of words. In the privileged world we live in, this usually means using words in the best possible way to build strong brands and create compelling content. But in some parts of the world, words have a far greater, more urgent power. That’s why we support Children in Crisis. The charity’s mission is to support children to read, write, think, pursue their life goals and contribute positively to their communities. And their incredible work shows us that words really can change lives, giving children in some of the world’s poorest countries the education they need to transform their lives. 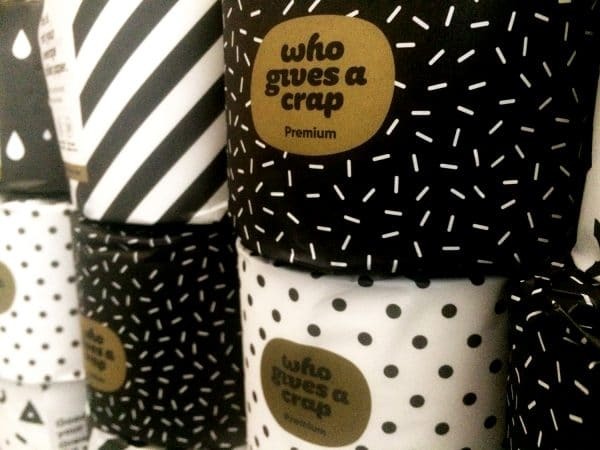 ‘Good for your bum, great for the world!’ With a slogan like that – not to mention the fact that this brilliant company produces 100% recycled toilet paper and donates 50% of profits to build toilets in the developing world – how could we resist? When roughly 40% of the global population doesn’t have access to a toilet, and almost 800 children die every day from diarrhoeal diseases caused by poor water and sanitation, wiping our bums with WGAC’s toilet paper makes us and our League members very happy. While we want our words to make an impact, we’re keen to leave as little impression on the environment as possible. So when it comes to visiting clients around the UK we use the train whenever possible. In our own offices, our electricity and gas are supplied by a renewable energy supplier, Good Energy, and we use double-sided printing to reuse all our office paper internally (which has reduced our paper purchasing by more than 85%). Over half of our staff walk or cycle to work regularly, and we provide secure storage facilities for them to stash their bikes and hang up their helmets during the day.